Oop! 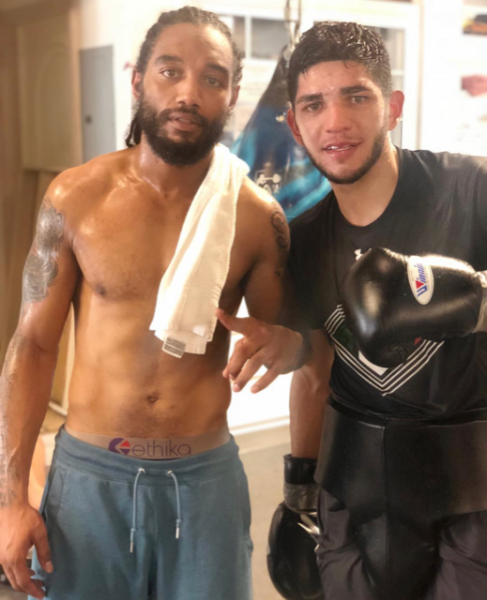 During a late night snack run, Karl Dargan, husband of R&B singer, Lil’ Mo, was caught bowl handed while in the kitchen, facetiming another mysterious woman. As it appears, Karl wanted to take a quick, private call while looking very specious. All the while, Karl’s wife, Lil’ Mo was getting ready for bed upstairs in the couples bed. Side piece maybe? After the episode aired, Mo responses to her husband’s chat with the mysterious woman on Twitter. 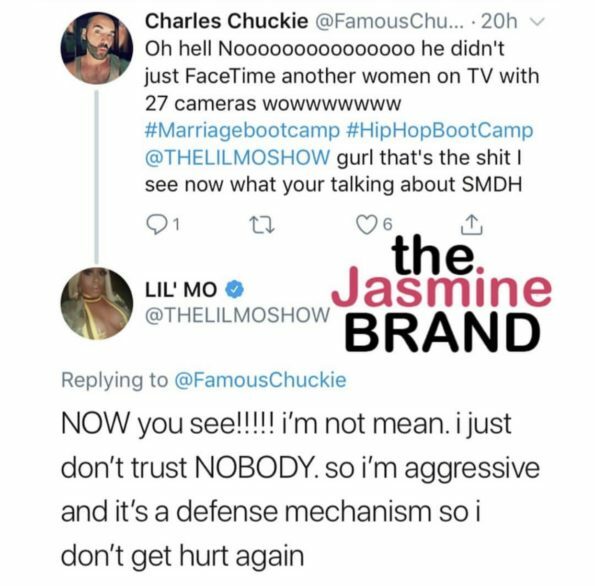 Mo responds back to a fan after the scene, mentioning that this video is the reason she has trust issues. In the past, Mo’s husband has been accused of cheating. Back in 2016, Karl, 33, allegedly impregnated another woman. According to reports, there were text messages, tweets, and clap backs that went viral making claims Karl had allegedly cheated. 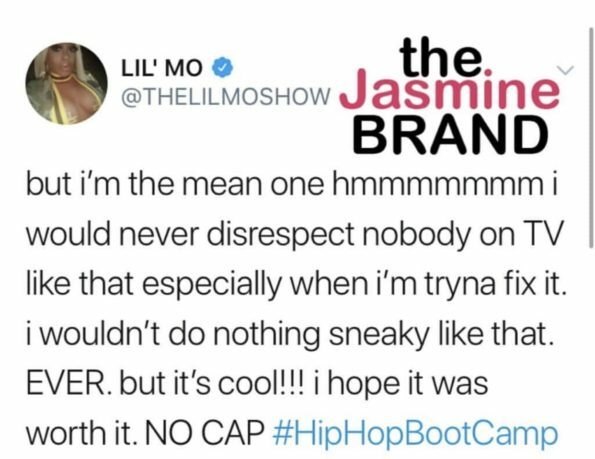 At the time, Lil’ Mo stood by her husband on social media. 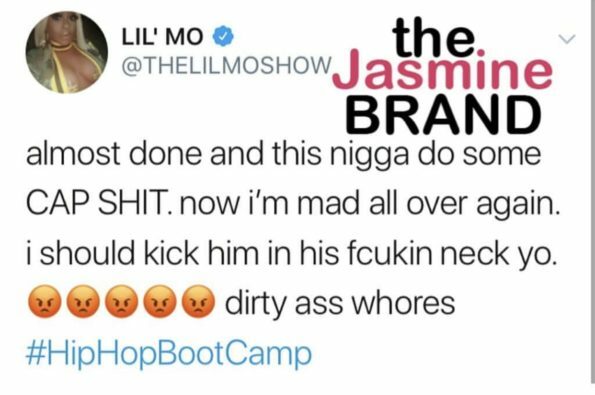 Do you think Lil’ Mo will stand by her man again? Let us know in the comments! 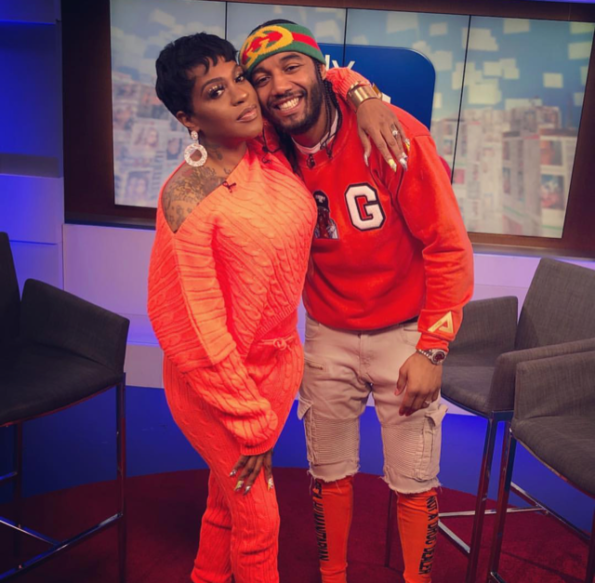 The post Lil’ Mo’s Husband Caught On Camera Affectionately Talking To Mystery Woman appeared first on theJasmineBRAND.